Depending on where the wound is located, it can be a challenge to make it impossible for them to scratch at it and help them heal. This guide is about keeping a cat scratching its wound. 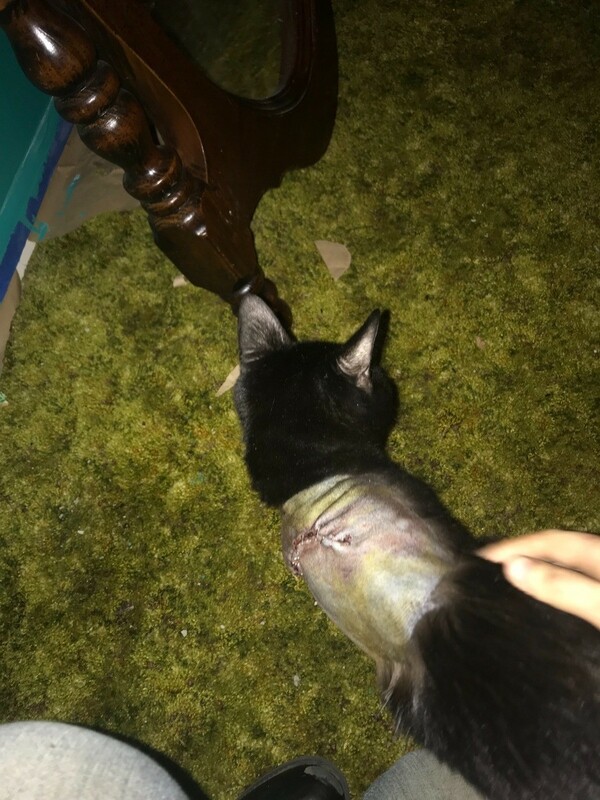 My cat would not stop licking and scratching its wound behind its neck removing fur and causing scabbing. I got a really great idea to get one of the dog harnesses that is fabric with Velcro and it has really helped and now his skin is healing wonderfully! Plus my cat does not hate it at all. It's worked out better than a cone! On New Years Day I found a sore on my cat. I pet her a thousand times a day so I know it wasn't there the night before. I couldn't get a vet appointment until the 8th. In the meantime I kept it clean and used Neosporin. I went to the vet on the 8th, he said it was an allergic reaction and prescribed 3 medications. Now just 3 days later the sore is just about healed but she won't stop scratching right below the sore. It's not any particular shape, just two straight lines where the folds of her skin are when her head is upright. She is making it bleed. I have the cone on her now but I don't think its safe to leave it on while I'm asleep or at work. Any suggestions would be appreciated. I'm very concerned. Should I take her back to the vet? I don't want to seem like a hypochondriac cat mommy but I hate seeing her uncomfortable. There is a Neosporin called" Neosporin Plus". (The Plus comes in cream or ointment) This kind of Neosporin is different because it has an added medication that stops pain, itch & burning. Try this & see if it helps. Use only a little, so the cat doesn't lick a bunch off & get sick! Don't feel like a crazy-cat-moma, because if your cat keeps scratching it, it won't heal (& could get worse). 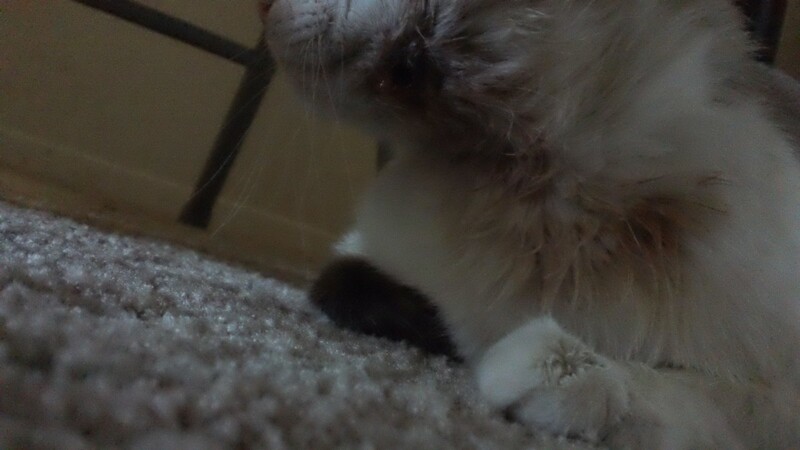 Did the vet check for "fungus" (like ringworm, etc) because these fungus infections can really itch. Also, I agree with it not being safe to keep the cone on while you are gone. Try a flea collar. Sounds crazy but I went through the same thing with two cats, tried all sorts of things but the sore wouldn't heal then once spring came and out came the flea collars and they both stopped scratching and picking at the un-healing sore. I think I was over doing it with the ointment the vet prescribed. I may of been putting to much on at once. I stopped putting it straight on from the tube and started using a cotton ball and just dabbing it on, now she appears to have stopped scratching and its healing. The vet did check for fungus/ringworm and said that wasn't it. It was probably an allergy to food I used temporarily. I ran out of their normal food and just ran to the local convenience store for a box until I could get to the pet store the next day.. it wasn't the same brand, so in all likelihood that's what it was. I have long since thrown that box away, and she is eating her normal brand again, and no other sores/scratches have popped up. I know I probably made her crazier than the sore did, and I'm convinced it worried and bothered me more than it did her, but she is my baby, and when you google "cat sores" online some scary stuff comes up. Thank you for the advice. I have 4 cats with this problem, altho they have not had any infections from their sores. My vet prescribes prednisone or prednisolone tablets for it. I've tried sprays and medicated powders from the drugstores: you might have good luck with that. The kitten really should see a vet as infection is present She will need an antibiotic and possibly stitches. I have a cat who had a puncture wound that started out as a tooth-hole sized bite from another cat. It then opened up to the size of a quarter over the next few days despite my efforts with hydrogen peroxide soaked cotton balls. That's when I took her to the veterinarian. Money well spent? The bleeding was dripping now and then and wouldn't cease. Stitches were clearly needed. Hydrogen Peroxide is the way to go to keep bleeding wounds free of infection. The cat photo I have is of my kitty girl, Mitsu, who had the wound that kept opening up larger everyday. For a low-cost veterinarian I was miffed with how many $$ he required to do the procedure: not very Thrifty! Health is first and foremost and kitties must be doctored and at least Mitsu looks ashamed of herself for having got into one bad fight behind my back. Good Luck with your kitten. It is called Vetricin. It is a wonderful spray and can even be used in eyes, and it is for infections, ringworm, etc. I found out about it from one of my wildlife rehab friends on facebook. I would not be without it now. There are several different kinds of vetricyn spray the one I am talking about is called Vetricyn Wound Spray and it looks like the picture in the link I sent. 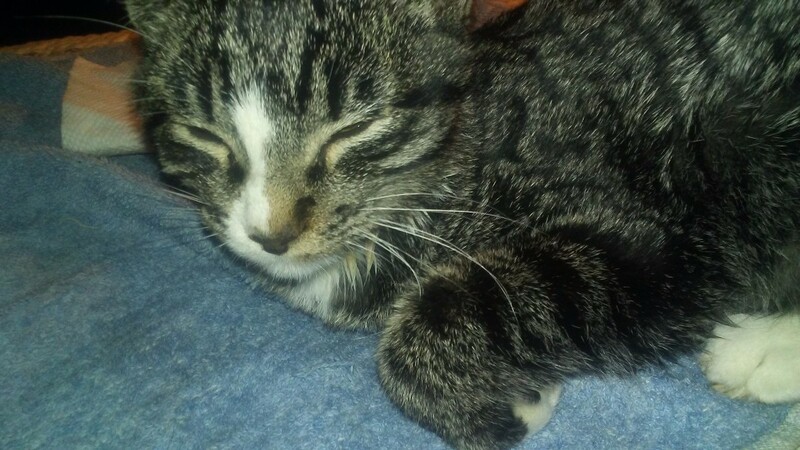 My sweet little kitten, Henry, has a medium sized puncture wound on his neck. I believe most of the infection is out and it is trying to heal. Unfortunately he keeps wanting to scratch the wound. Is there anything I can use besides a cone to keep him from itching his wound open so it can heal? 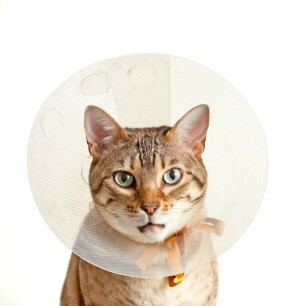 A cone basically is for the animals to not bite at his wound. You can try to use a cloth around this. Take an old wash rag and make a neck collar to put around the neck of your cat. See if this helps to stop him from scratching. When any wound heals it does itch and your cat is just trying to stop it from itching. You should keep it covered so that it won't get worse. My cat has a wound on her neck. Once that part get dries she scratches it and the dried skin gets removed and the wound starts bleeding again. This is the 5th time she is doing this. What should I do? Please help. 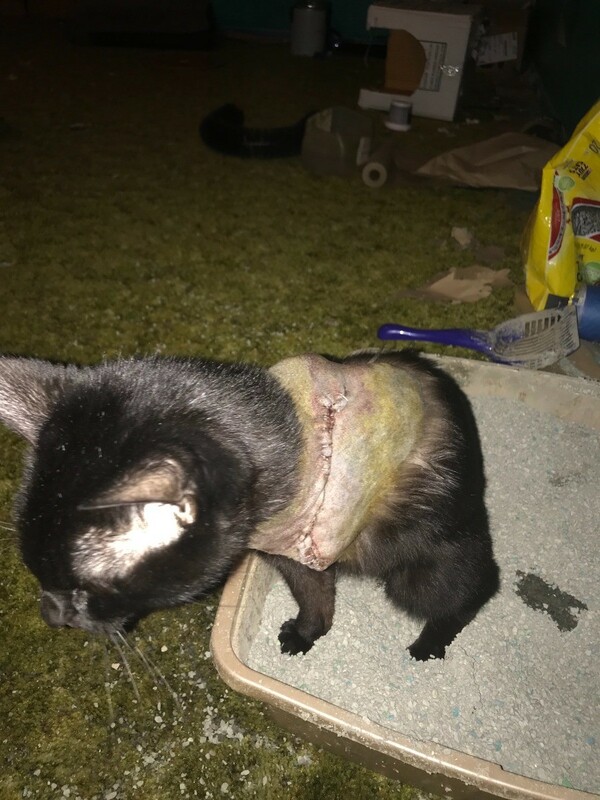 It looks like the only way you are going to get this wound to dry up and the cat will then leave it alone, is to go to the vet and have them put a cone around the cats neck to where it cannot get at it to scratch. I have a cat that has a wound right behind his ear on his neck and he won't stop scratching. I tried cutting up pairs of tube socks and putting it over his ears and neck and through his feet like a harness, but he still manages to get it off. I took him to the vet and they said it wasn't infected, but he won't stop messing with it. What do I do to make him stop? You might consider putting one of those cone collars on her until the wound heals you can get one at any pet store. However, if the vet was not concerned with it then I wouldn't be either. My cat has a wound (from a previous infection) that he doesn't allow to heal. It's right under his ears so every time it's almost healed he scratches and gets the wound to bleed. I've tried 'Safe Skin' that helps to keep the wound dry, but it didn't help. My smart cat has found ways to get out of the cone. The paw covers do not work. His nails are clipped. My vet has only been asking me to keep the cone on, but it's impossible. I'm currently applying betadine cream on his wounds which he terribly hates. I'd read on the earlier threads that as a scab begins to form it must be moistened and gotten off? To keep the area itch free? Coz like cats need to heal from inside. Is it true? Because I've noticed after a bath that every Sunday he doesn't begin scratching before like Thursday. So probably that's how long it takes for the scab to form. Should I wash off his ear area everyday to keep him from scratching? Should I let a scab form? My cat had surgery on his neck and he scratched off his stitches. I took him back to the vet and they put in staples and gave me a collar to use. Three days later he scratched out his staples by getting under the collar, and no I couldn't make it tighter. The position of the wound makes it impossible for the collar to work, because it to rubs the wound. So I called my vet again, and they had me take him to an emergency clinic. They wrapped it with soft cloth and pulled out the two staples he had left in. I got him home, and he's already scratching off this wrap and getting to the wound! Any ideas on something that would help or work? Since your cat is probably scratching his neck with a back legs, trim the nails on the one foot and tape a finger of an old glove over the back paw so the result is that the nails cannot dig into his neck. Wrap his paws up in little mittens, that way his nails will be covered, problem solved! Tried all suggestions for my cat who has a big (2" long) wound on her neck, and she promptly takes everything off. We are trying putting tape on her paw and will see after an hour how it goes. 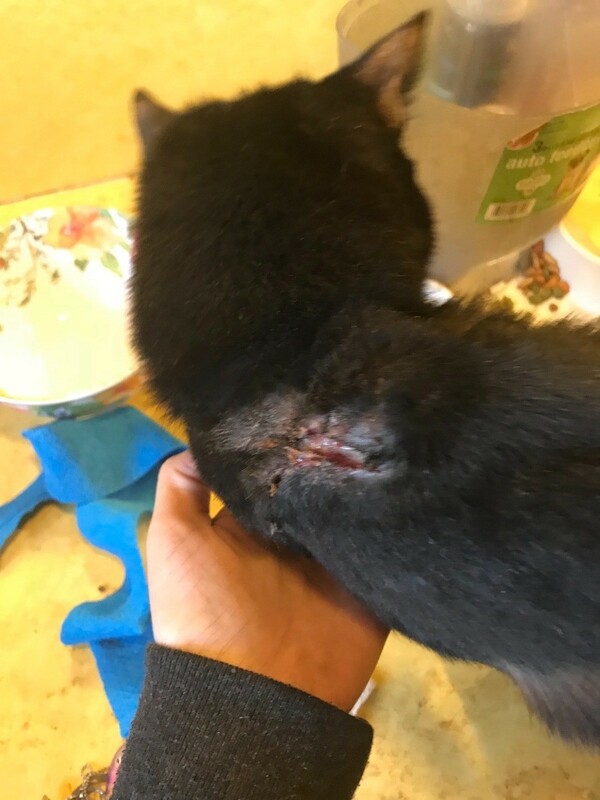 My cat Poppy has a large wound on her neck close to the top of her head. A collar would not help because of the position of the wound. She scratches the scab off almost as soon as it has healed and it keeps bleeding. She scratches so much that the fur has come out around the wound. She is an indoor cat and we have another who is also indoor. I think Poppy may have been hurt by the other cat, but I'm not sure. I would like to know how we can stop her scratching so the wound can heal? One of my dogs had a wound and because of its location, a collar wouldn't work, so I put socks on the feet of my dog and used hair scrunchies to keep them in place whenever the dog went outdoors for potty breaks or walk around. I don't know if small sized socks for children would work for your cat, but I don't know what you could use to keep them in place. I think your cat would still need to be watched, but it will keep the cat busy trying to remove the socks instead of scratching the wound. The wound is probably itching when its scabbed over. Have you thought of using Benadryl anti-itch cream around the area. Maybe that might help some. I am concerned that your cat may have an infection. It would be a good idea to rule that out with a trip to the vet. 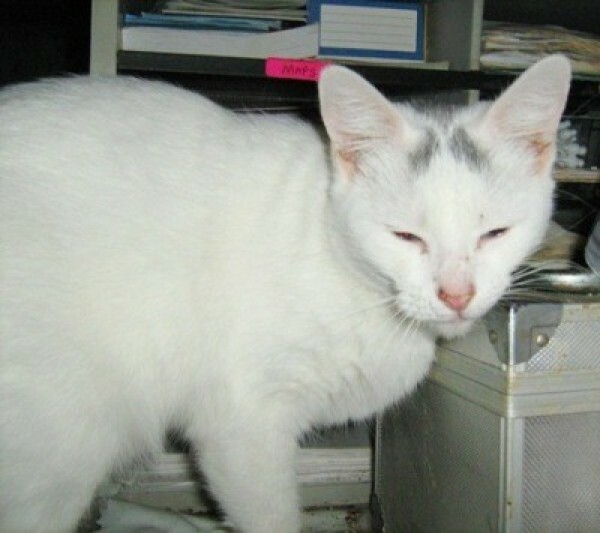 An infected wound will cause the hair to fall out around it, especially if it is a scratch form another cat. It is unusual for a cat to keep scratching a simple healing wound. Wounds from another cat are almost guaranteed to get infected. If it is an infection you dont want it to spread. Your Vet can bandage it so she cant keep scratching it. Good Luck! It sounds like you cat has a bite wound. Please take her to the Veterinarian so your Dr. can prescribe antibiotics and give you an E-Collar. Bite wounds are very serious. This is an abscess that needs to be treated ASAP! God luck. We fashioned a kitty turtleneck out of an old tube sock with very loose elastic in the cuff. Cut off the sock toe just below the heel or farther down depending on the cat's size. Cut armholes in on either side of the heel. Pull sock down over the cat's head, get paws and legs through the armholes. Makes it harder to take off. Hope it works! One of my senior cats had pulled a patch of his hair out, between his shoulder blades, and now it's taken forever to heal. I had put a mix of an ant-itch cream and antibiotic cream on it, but he is able to reach it by licking it off. Any help or suggestions? First be sure the wound is actually healing-you may need a vet to check the area for possible infection. 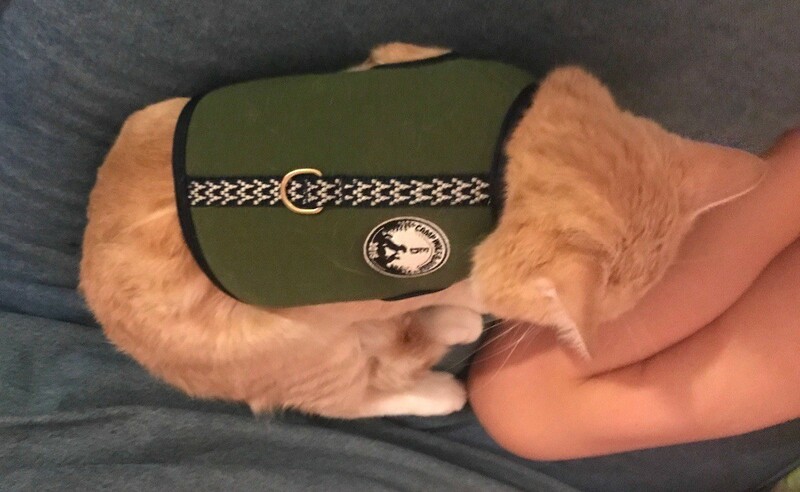 You can purchase a neck collar at a pet store that restricts your kitty's movement and will definitely not permit him to lick his wound. Since this wound is not acting like a normal wound I would have it looked at by a Vet asap. It could be a fungus or cancer. My cat had his left front leg amputated. He was healing fine until they took the staples out. He opened a wound on his shoulder blade. The vet gave me antibiotics and told me to clean his wound and put Neosporin in it. That was doing good for about a week. I thought his wound was starting to close, but then he goes and scratches at it and now it's a longer wound. Does anyone know how to keep a cat form scratching at his wound so it can heal properly? My cat Mig got into a fight with one of my other cats and got a sore on his neck. Then another on his cheek the next week. I cleaned both and put an Elizabethan collar on and the neck wound healed, but the cheek one has not because every time I take it off he scratches it! I've tried the body sweater, silicon nail tips, a collar, a backpack, and so far nothing works. It's been months now. I was thinking acupuncture. Any help is appreciated. My cat has got a sore on his neck. He keeps scratching and then he bleeds. What can I put on it so that he won't scratch? No cone, he doesn't like it at all. I have a 16 yr old (17 in October) Russian Blue cat who had cancer surgery in May. The tumor has already come back which sadly I was expecting. It is at the very end of her chin. Every time she goes to scratch I grab her paw, but that is something I can't do when I am at work or asleep. Yesterday morning she scratched and it started bleeding. I got it stopped then a little later it started again, but I got that stopped. I took her to the vet and they drained it. She wore the core while I was at work, but I took it off when I got home and watched her. She seemed to be okay so I eventually went to sleep. I woke up about 12:30am and she had scratched it and of course it was still bleeding. It is a catch 22. No collar and she can scratch. Collar and it puts pressure on it so it can't heal. Reading other posts I am going to call later and ask about Neosporin or anti itch cream, but didn't know if any one has any other thoughts. 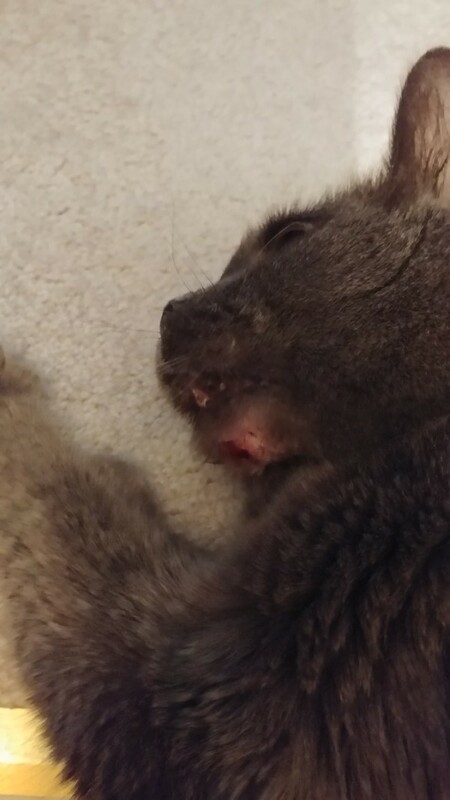 A few days ago I noticed a really bad scab on my cat's jaw. Now today I woke up and he'd been scratching it so much that it basically formed a tiny hole. My mom won't take him to the vet because we have no money or gas. I've been doing all I can by cleaning it and trying to wrap it up, but it's difficult due to the placement of the wound. Tomorrow I might be having a friend's mom take me to her vet. But does anyone have any suggestions on how to keep him from scratching until then? We adopted a cat about 6 weeks ago from an adoption center. He had a small scab on his neck, which he quickly scratched off. We took him to a vet (holistic), who gave us a spray and a cone to keep on until he healed completely. Well, the cone didn't keep him from reaching that spot, so I made a collar for him to wear. Finally, the scab was healed. So I took him to have his nails cut. I took off the collar and within minutes, he was bleeding from the same spot again! What can I do to keep him from continuing this behaviour, so he doesn't have to wear a collar 24/7, forever? Thanks for any advice. Oh, the vet and shelter cleared him health wise. The vet suspected initially that he may have been allergic to the flea drops and he was microchipped as we left the shelter, but that should have been lower on his back, not on his neck, right? I have an outdoor cat who has a huge wound on his head. Everyday it gets bigger and bigger. Does anyone have any ideas on how to make him stop scratching it? He's and outdoor cat, though so cones don't really work. You need to figure out why he is scratching. You didn't say where the wound was on the head . If it is near or around the ear then look inside his ear. If you see a bunch of dark brown discharge he probably has an ear infection or ear mites. If you take care of the infection then he should quit scratching his head. You need to keep him inside, with the cone on, until it's healed, you have not much choice in the matter. It should only take a week or two to heal up good enough that he can go back without scratching.